garden Kink Free Connector is for make the hose kink free when joint to water faucet. 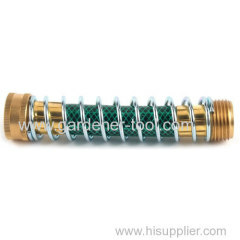 1, No kink garden hose adapter is with steel coil spring and brass connector. Group of Kink Free Connector has been presented above, want more	Kink Free Connector and lawn Kink free connector,backyard kink free tap connector, Please Contact Us.